This is a die-cut Long Wear Shoes porcelain sign. This particular Long Wear Shoes sign is red with white print. 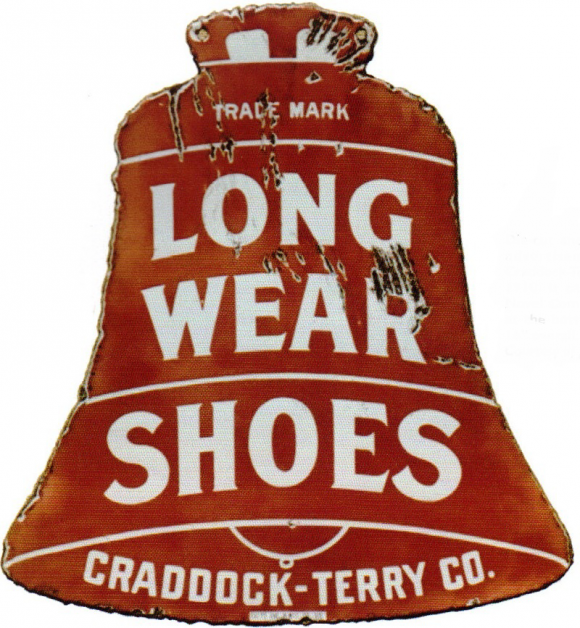 It reads, “Long Wear Shoes, Trade Mark, Craddock-Terry Co.” and is shaped like a bell.